We all know “Road Rage.” As portrayed in the media, it is a potentially deadly, destructive roadway phenomenon. In fact, around the world, violent acts of road rage kill hundreds and injure thousands of people each year, and they cause millions of dollars of damage. These acts include ramming one’s car into another car; getting out of one’s car and assaulting another driver with fists, baseball bats, and tire irons; or attempting murder with weapons such as firearms and knives. However shocking and damaging these acts of violence are, they are extremely rare compared to the millions of safe, uneventful journeys taken each day around the globe. 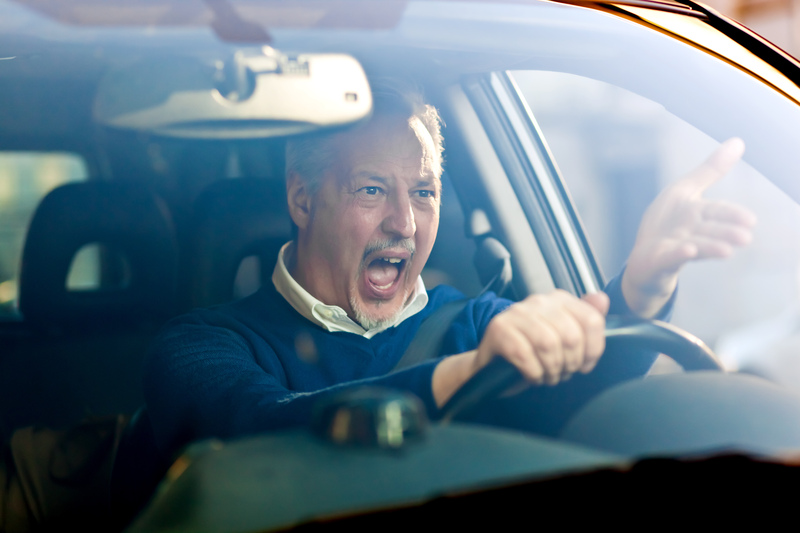 For many of us, when we think about road rage, we conjure up mental images of other drivers’ anger-fueled expressions and behaviors—like “flipping the bird,” cutting someone off, tail-gating, shaking a fist, honking, and yelling obscenities. Witnessing these offensive displays stirs up intense feelings of shock, disbelief, and anger. When they happen to us, we can feel threatened, vulnerable, and furious. For a significant number of drivers, it doesn’t take obvious, provocative, aggressive gestures and behaviors by others to set us off. In fact, many drivers report being frustrated, angered, and even enraged merely by what they perceive as incorrect, problematic driving by others. These acts might seem discourteous (e.g. not letting us merge, driving too slow, taking a parking space we wanted, etc.) or dangerous (e.g. speeding, running a red light, weaving, tail-gating, etc.). These and other driving behaviors may trigger feelings of frustration, injustice, or being threatened. Each of these feelings is a common trigger for anger, rage, and aggression. Yet, these descriptions of road rage are incomplete. They focus on external factors that upset us emotionally yet allow us to maintain a victim stance. Feeling like a victim not only leaves us feeling powerless over our reaction and distress to others’ behavior; it ignores our role in on-road interactions that may anger other drivers. Are you shocked? 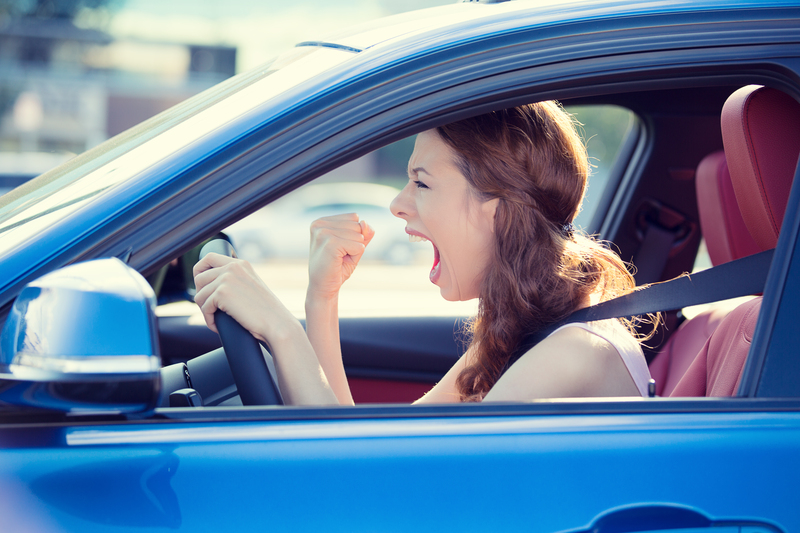 Ironically, most of us are guilty at one time or another of committing some driving behavior that—often without our self-awareness—causes anger or even rage in other drivers. In my recent study on road rage, located at www.Marin-Psychotherapy.com, participants were surprised to discover they were not simply victims of road rage, but they at times were instigators of road rage. This insight can be helpful in recognizing that we are all responsible for driving safely and with consideration of—and compassion for–other drivers at all times. relaxing music instead of aggravating talk radio; put down the phone; etc.). 2. Leave 10 minutes early, so you won’t be rushed and stressed. 1. Take public transportation or ride a bike! Give these a try. If you have other tools or tips, drop me an email (DrBob@DrNemerovski.com) so I can share them with my clients and readers. For those of you who are thinking, “These suggestions are great, but they won’t work for me—or my partner or friend—who has ‘serious road rage issues,’” counseling or therapy might be appropriate. In my research and therapy practice, I do encounter people whose anger problems—both in and out of the car—benefit from professional guidance in order to get to the “root” of psychological contributors to excessive or uncontrollable anger and propose more adaptive ways of “being” that don’t involve rage. Unfortunately, many people with road rage or general anger problems won’t seek help until someone in their life suggests it, or until they have something to lose, such as a relationship, job, their freedom, or worse, or someone has been injured or killed. Stay calm out there! Deffenbacher, J. L., Oetting, E. R., & Lynch, R. S. (1994). Development of a driving anger scale. Psychological Reports, 74(1), 83-91. Larson, J. A. (1996). Steering clear of highway madness: A driver’s guide to curbing stress and strain. Wilsonville, OR: BookPartners, Inc. Contact me at 415-272-3282 for a free telephone consultation to discuss your concerns.